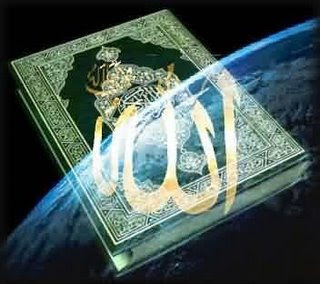 The Quran (Al-Kitab, The book), the rhythmic verses, phrases, sentences and the chapters uttered by the Holy Prophet of Islam - Muhammad s.a.w, not in his own words, but as the book of God, revealed verbatim to him, and which he proclaimed as his everlasting miracle bearing testimony of his Prophethood. He challenged with this Quran not only the Arabs of his own time who doubted its Divine origin, but also those Arabs and non-Arabs who would disbelieve it in the future. God had revealed His books to His Prophets before the Prophet Muhammad s.a.w, which were sent down in the same way as He revealed the Quran to him. God informs us in the Quran of the names of some of the books He had sent down to Prophets before the holy Prophet of Islam, namely the Pages of Abraham, the Torah, the Zabur (the Psalms), and the Injil (the Gospel). The Quran is fully preserved and not a jot or tittle has been changed or left out of it. It was revealed over twenty-three years on different occasions, and during this gradual revelation, each verse, sentence, phrase or chapter was written down and memorized by many Companions of the Prophet s.a.w. Thus the Quran was put into writing and collected and arranged under the supervision of the Holy Prophet himself. When the Prophet Muhammad s.a.w passed away, all the verses and chapters of the Quran were in written form and in the memories of many Companions. At the battle of Yamama, which took place during the caliphate of Abu Bakr, the first Caliph, seventy of the Companions who knew the Quran by heart were martyred, and Umar, in fear that the Quran might be lost, went to the Caliph and counseled him to collect the Quran into a complete book. Abu Bakr instructed Zayd Ibn Thabit to undertake this task, and it was announced that whosoever had the whole Quran, or any part of it, with him should produce it. Then chapters of the Quran were collected from the pieces of wood, bones, and pieces of leather, and they were all compared with the memories of the living reciters. People used to come to Zayd with passages and he used to accept a passage only when it was supported by at least two pious, knowledgeable persons. It should also be noted here that there were some Companions who had written down the whole Qur’an before the demise of the Holy Prophet. The third Caliph ‘Uthman ordered Zayd, Abdullah Ibn Zubayr, Said Ibn al-‘As, and ‘Abd al-Rahman ibn al-Harith to prepare copies of the Quran, and after this task had been accomplished he sent the copies to the far corners of the State. In recent years, one of these copies was found in Turkistan, and it was found to be a verbatim version of what we have today. So the Quran exists exactly as it was revealed to the Holy Prophet of Islam; not a word-nay, not a dot of it-has been changed. It is available in its original text and the Word of God has now been preserved for all time. The former Divine books available are only translations of their originals sent down in languages which have long been dead. The former Divine books were sent down in languages which have long been dead. In the present era, no nation or community speaks those languages, and there are only a few people who claim to understand them. Thus, even if these books existed today in their original and unadulterated form, it would be virtually impossible to understand them correctly, and to interpret their injunctions and put these into practice. Furthermore, an important point is that the original texts of most of the former Divine books were lost altogether, and only their translations exist today, and it goes without saying that the translation can never be the same as the original. Therefore, even if they had not been corrupted, this would mean that we still do not have them in original. The Quran, on the other hand, exists in the language in which it was revealed, and this language is a living one; millions of people speak it, and millions more know and understand it. Many things have been inserted into the former Divine books which are against reality, opposed to reason, and which affront every instinct of justice. The Old Testament, for example, depicts the Prophet Aron as an idol-maker or idol-worshipper, David as adulterer or a man of loose conduct, and the Prophet Solomon as idol-maker, idolater, and a man practising witchcraft. The Quran purifies from all ungodly thoughts and actions Jesus, Aron, David, Solomon, and all other Prophets from Adam to the Last One (peace be upon them all). It expressly negates what the four Gospels affirm concerning the crucifixion , resurrection and physical sufferings of Jesus at the hands of the Jews. It denies the doctrine of sonship, the incarnation theory, and the theories of transmigration of the souls, and union with God. From the beginning to the end, the whole book is full of wisdom and truth, with nothing unjust, indecent and misleading in it. and those who believe in the Book (Al Quran) which has been revealed unto thee and scriptures that have been revealed before, and they believe in (life) the Hereafter. Those who continued to receive guidance from their Lord, and they're the people who are lucky. What is the Quran and how can it be defined? The Quran is the eternal interpretation of the book of the universe and the interpreter of sciences dealing with the phenomena of creation. It comments upon the visible and invisible worlds, and discloses the spiritual treasures of the Divine Beautiful Names in heavens and the earth. The Quran is the key to perceiving the hidden realities behind the events taking place in both nature and human life, and is the tongue of the Hidden World in the Manifest World. 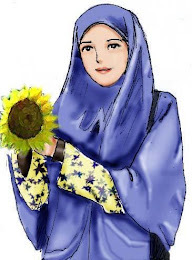 It is like the sun shining in the spiritual sky of Islam, and is the sacred map of the next world. It is the expounder of the Divine Attributes, Names, and Acts, and the educator of mankind guiding them to truths and virtues. It is a book of law and prayer, and also a book of wisdom and invocation, a book of Divine commands and worship, and it is a book which contains everything to satisfy man’s spiritual needs. The Quran is the Word of God, the Lord of the worlds, and it has descended from the High Throne of God, in which God’s Beautiful Names are manifested at the highest level of manifestation. It is the collection of the commands to mankind from the Deity of mankind. It is the discourse of God to all the creatures. It is the collection of all the favors of God, the All-compassionate, and is the Divine message to mankind. It is the Holy Book of wisdom containing all the principles necessary for man’s happiness both in this, and the next world. ALM Ra. These are the verses of the Book (Al Quran). And the Book of thy Lord revealed unto you than it is right: but most people do not believe in (him). It is Allah Who raised the heavens without pillars (as) you see, then He is seated on the Throne, and subjected the sun and moon. Each outstanding until the time specified. God put his (His creatures), explaining the signs (of his greatness), lest you believe the meeting (of yourself) with your Lord. And He it is Who spread out the earth and make the mountains and rivers to him. And make him all the fruits in pairs, God closed the night to noon. Verily in this there are signs that (the greatness of Allah) for people who reflect. Although the Arabs of the Prophet’s time were highly intelligent and practised in poetry and eloquence, they were unable to produce anything like the Quran. Likewise the hundreds of thousands of literary men who have lived since that time have been incapable of duplicating it. Indeed the Prophet challenged those of his age and mankind at large, to join in hands until the Resurrection to bring the like of ten chapters or even one. That they are incapable of this is a proof of the Quran’s Divine origin. No one has been able to produce the like of a single chapter of the Quran, even of the shortest one like ‘Abundance (Kawthar)’, and will not be able to do so until the Day of Resurrection. The opponents of Islam have always resorted to arms to resist the Quran, but in vain. As a Muslim scholar has pointed out, if the Quran or Islam had been resisted by argument, or science, or the power of eloquence, it would never have been necessary to resort to arms to repel it. As time passes the Quran becomes ‘younger and fresher’ since its hidden unlimited treasures are disclosed one by one. Islam is the only way of life under which the hopes of today’s miserable humanity can be rediscovered. Al-Quran is the guidance for mankind. Al-Quran is a book of directions, showing man the right path to tread. It is a Light which guides his faltering steps, giving him timely reminders of Allah’s will, awakening his sleeping nature and conveying the Lord’s admonition. It is the book that, in giving him the moral sense to distinguish right from wrong, cures him, and his society, of all ills. In that sense, it is the book of wisdom, full of every expression of correct understanding. More, it is the book of laws, laying down for us the very foundations on which to build and organize society. In short, it provides everything that man as an individual and as a member of society can ever need. Without this, man can never be the gainer, no matter how hard he tries. The Quran explains that it is this One God alone who sustains us throughout our lives here on this earth. Through Him our hearts are set at ease, for it is He who provides true warmth in life. He rescues us in times of peril, assists us in the hour of need. All power rests un His hands: honor and glory will be the rewards of any nation which looks to Him for support, while only disgrace and humiliation will be the lot of those who abandon Him. To know this is to hold the key to all the treasures in life. He who possesses this key gains all; he who loses it, loses all.